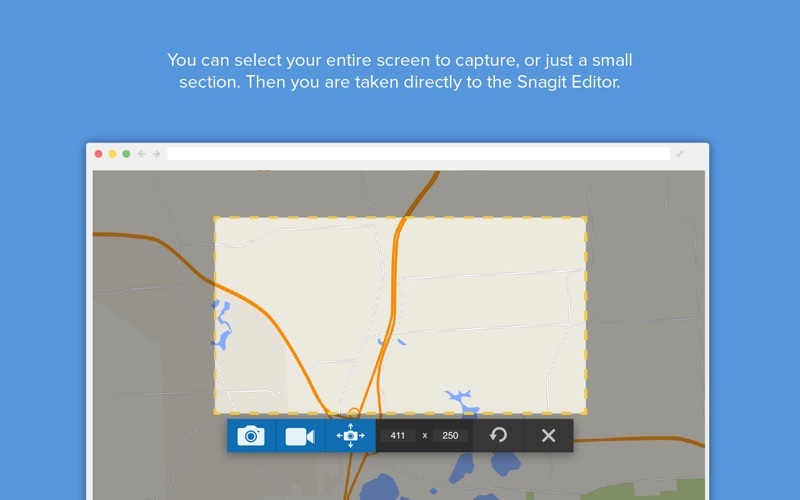 TechSmith Snagit 2018 brings screenshots to life in an incredibly powerful way. 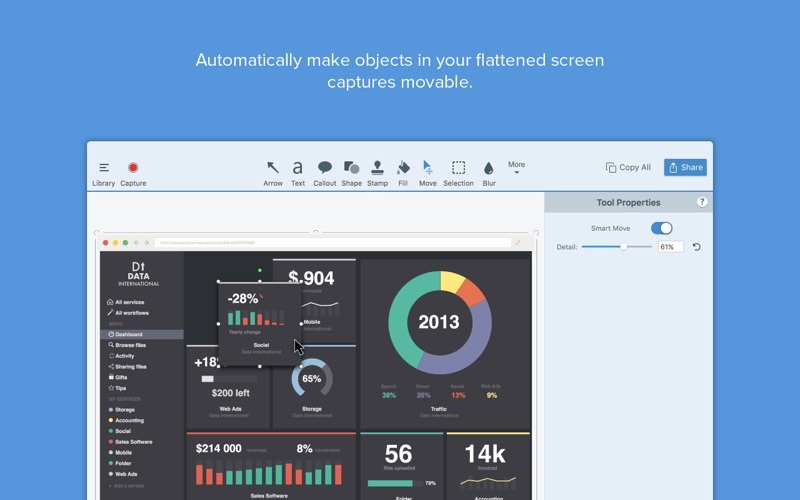 … Create remarkable visuals. Reduce wasted time. Share important information. Visuals help clarify your message and get you hours back in your work day. 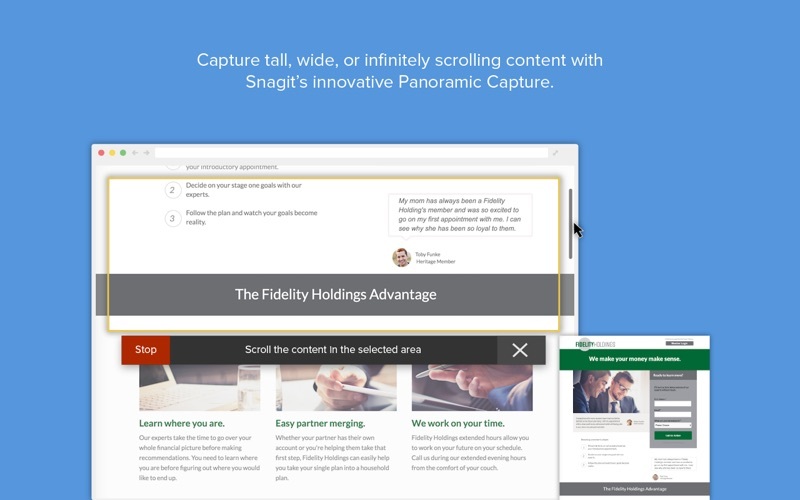 Snagit is the premium tool for screen capture and screen recording on Windows and Mac. 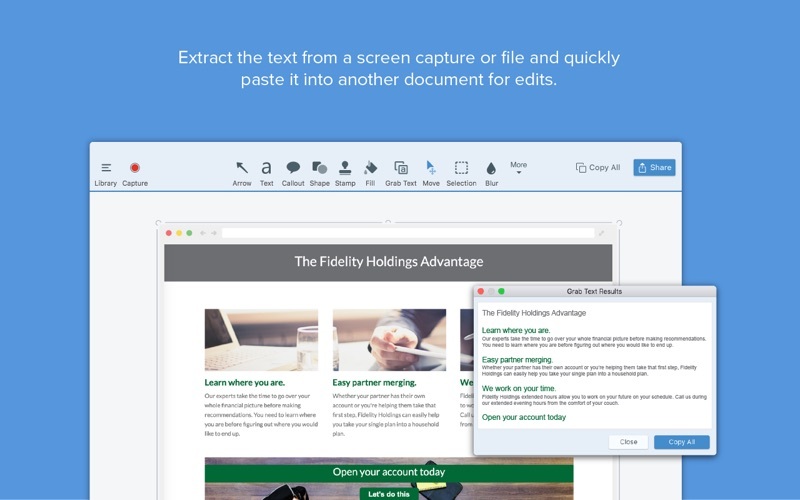 Combining traditional screenshots, videos, and image editing to help you share important information with the people who need it most. 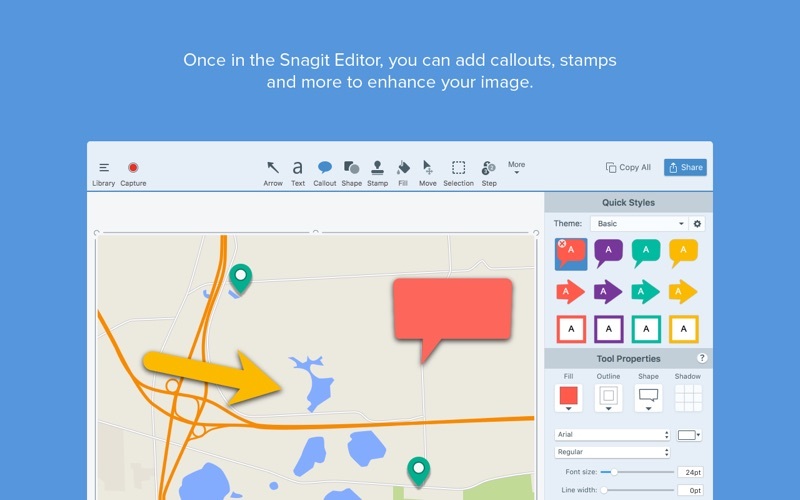 Added Inapp messages for onboarding (keep a look out for banners in Snagit Editor for helpful tips).